Recovering from the shock, Ji-Won lends a hand to Sun-Woo, showing him the way to the rehab center. 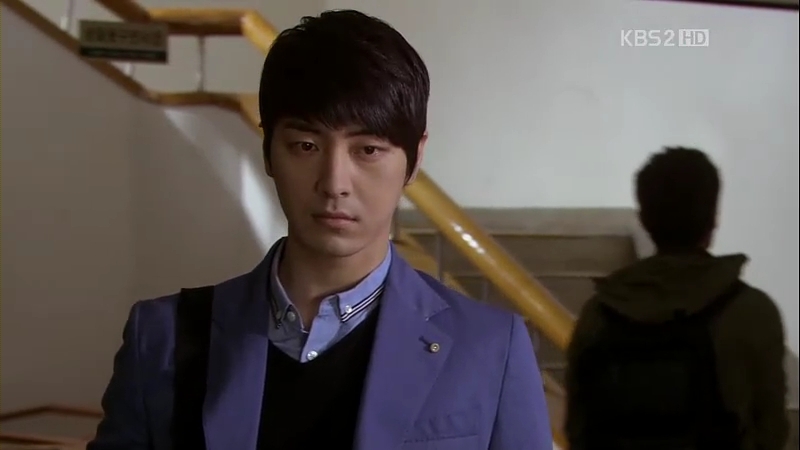 Geum-Jool comes running towards them, apologizing to Sun-Woo because he’s a little late. Ji-Won tells them the direction to the Braille class and Sun-Woo thanks her, with his voice from two years ago echoing in her ears. They part ways and she steals a glance towards his direction. Ji-Won goes back to the office to finish her recording task and takes the opportunity to ask the worker about Sun-Woo. She finds out that the man is an orphan and recently becomes blind because of an accident, but the cause is unknown. Jang-Il, who’s studying by himself in an empty lecture hall, receives a call from Ji-Won (he does have a cellphone after all ^^;). She apologizes as she cannot make it for their movie outing and hastily ends the call. He then receives another call, thinking that it’s her who call him again, but it isn’t. It’s his father, who’s excited to visit him on that day. Jang-Il tells him not to come as Sun-Woo is at his home. 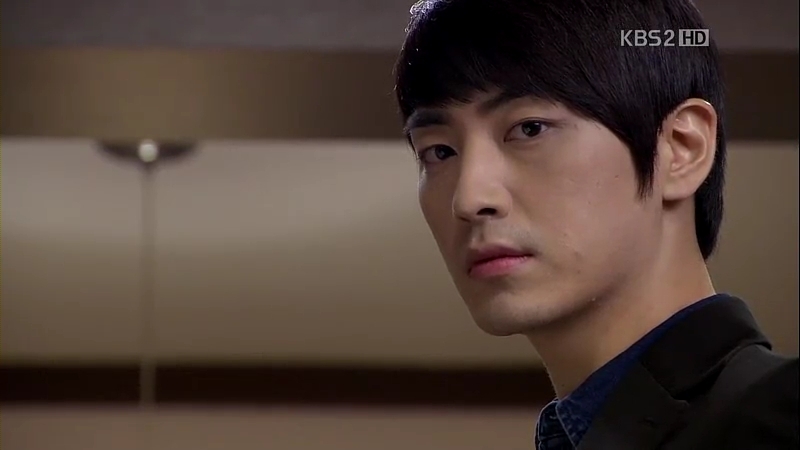 Yong-Bae gets angry, thinking that Sun-Woo is trying to leech of his son’s steady life. His expression stiffens, and he warns his father not to meddle in this matter because they’ll get punished for their sins. Chairman Jin gets the latest update about Moon Tae-Joo: he has landed on Korea, but the information stops there. He’s not that amused to have the man back in his radar and instructs his secretary to find out about him as discreet as possible. After her trip to the real estate office, Soo-Mi takes the opportunity to do some shopping spree for herself. She even cut her hair short and goes to buy the groceries by herself. She overhears a couple exchanging comments about what to buy there, and she can’t help but imagine the situation, putting Jang-Il beside her imaginary self. They look picture perfect with Jang-Il showing her the affection she yearns for. She smiles to herself, all dreamy and happy. Back in Jang-Il’s apartment, Soo-Mi prepares for dinner while waiting for Jang-Il to come back. Sun-Woo has learnt how to identify the things in front of him while walking and keeps practicing around the house. Geum-Jool and Soo-Mi look at him like proud parents, totally relieved to see him picking up so fast. Geum-Jool realizes that Soo-Mi has cut her hair and she playfully warns him not to fall for her as she’s someone who changes in every ten minutes. 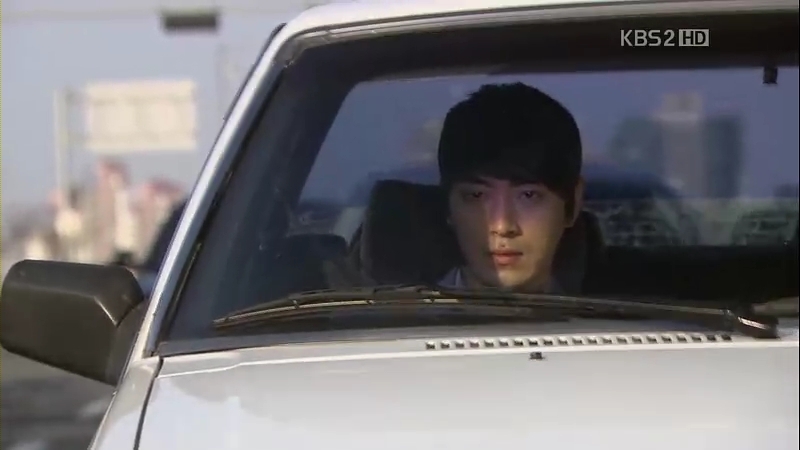 Jang-Il is deeply engrossed in his thought after the conversation he had with his father. He arrives home, welcomed by the sight of Sun-Woo’s cane. He treats everyone else almost indifferently but keeps shooting hard glances towards Sun-Woo. They have dinner together and Sun-Woo accidentally knocks off a glass of water. Geum-Jool suggests that they have some soju, but Jang-Il refuses to have some as he’s not much of a drinker. Sun-Woo doesn’t think so as he can perfectly recall that Jang-Il could withstand two bottles of soju back then. He is slowly recalling the memories of celebrating Jang-Il’s acceptance to the university. Jang-Il thinks he was too excited back then, hence the sudden high tolerance. Soo-Mi thinks the idea of having Sun-Woo staying beside Jang-Il is really good as he’s starting to recover his memories. Sun-Woo wonders if he had a pretty girlfriend back then, but Jang-Il says he doesn’t remember much about the past. They move to the living room for the second round and begin talking about the room for Sun-Woo. Soo-Mi couldn’t find a decent place for him yet but Sun-Woo is okay with any choice she’ll make. She asks for Jang-Il’s help to bring Sun-Woo to the rehab center on the next day as she and Geum-Jool need to attend a few matters regarding Sun-Woo’s new place. He doesn’t think he can make it as he has class, but Soo-Mi knows he doesn’t have any. Oops. He cannot run away anymore and agrees to it. On the next day, Jang-Il goes to the railway station with Sun-Woo. He apologizes when he doesn’t warn him about the stairs and Sun-Woo ends up tripping. Sun-Woo doesn’t mind it as he’s the one who’s not accustomed to use the cane. He starts talking about the cane, wishing that life also has something like it which can foresee what’s coming his way. Unknown to him, he’s walking towards the edge of the platform and Jang-Il doesn’t even say a word. He’s so close to be hit by the train but luckily, he’s fast enough to move away. They manage to arrive at the center without anyone getting hurt and Jang-Il promises to fetch Sun-Woo at 5. He walks out with hardened expression but turns back to look at Sun-Woo and leaves after seeing him climb the stairs safely. Ji-Won is still thinking about Sun-Woo, curious how he ends up being blind. Jang-Il greets her cheerfully and wonders when she can come with him to buy a guitar, but she’s too fixated on Sun-Woo. She chooses to tell about him to Jang-Il and he looks uneasy, probably because he suspects that Sun-Woo was the boy who helped her. He thinks it’s time for her to stop doing the community service at the center, but she thinks it’s fun and leaves to go to her class. 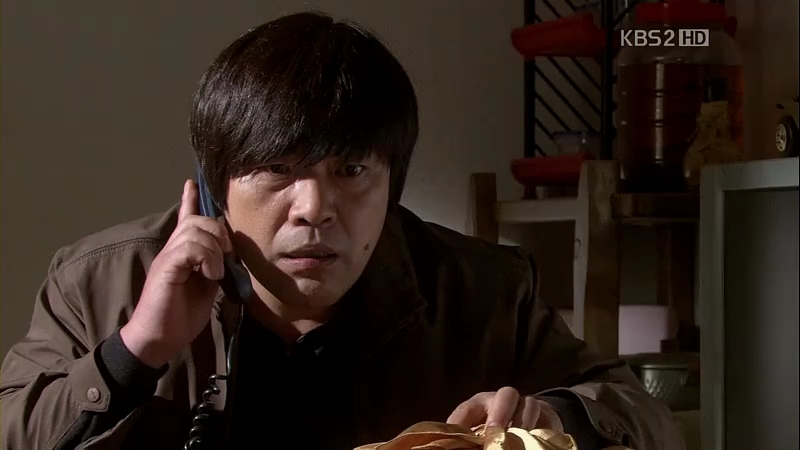 Gwang-Chun just finds out about Soo-Mi’s trip to Seoul and he decides to go after her. At the railway station, he encounters some ahjummas who recognize him as the fraudster who sold fake talisman to them and go to confront him. He doesn’t admit it at first, but he cannot stand them and tries to run away. Soon enough, he’s caught by them and nearly brought to the police, but he manages to escape when he promises to give a refund of 10 000 Won to the woman. He returns home and starts blaming Soo-Mi for the thing that’s just happened. He’s racking out his brain to find the instant money and then, he brings out some paper and starts to write a letter. Sun-Woo is a fast learner, but he’s short tempered in the learning process. He chooses to hear the audio novel recorded by Ji-Won in the audio room. Ji-Won looks at him from outside and realizes that he wore different colors of socks. He moves his head towards her direction and she hastily turns away before realizing that he can’t see her. He goes out of the room and approaches the counter, where Ji-Won is sitting behind. He recognizes her voice from the audio novel by Hemingway that she recorded. As Sun-Woo wants to borrow some audio novels, she passes the list to him but soon realizes that he can’t read Braille yet. She volunteers to read the list to him as he picks what he wants. He asks whether the library has the book ‘The Prince’ by Niccolo Machiavelli, but she doesn’t think they have it yet. She wonders why he wants to read that book as it’s about not putting trust on people and and he coolly answers that he wants to understand people who stab others in the back. She passes the tapes to him and sends him out with her glance. Jang-Il is still in the library. He realizes that time is nearly 5 but he’s hesitating whether to go to fetch Sun-Woo or not. His friend approaches him, asking about their study group. 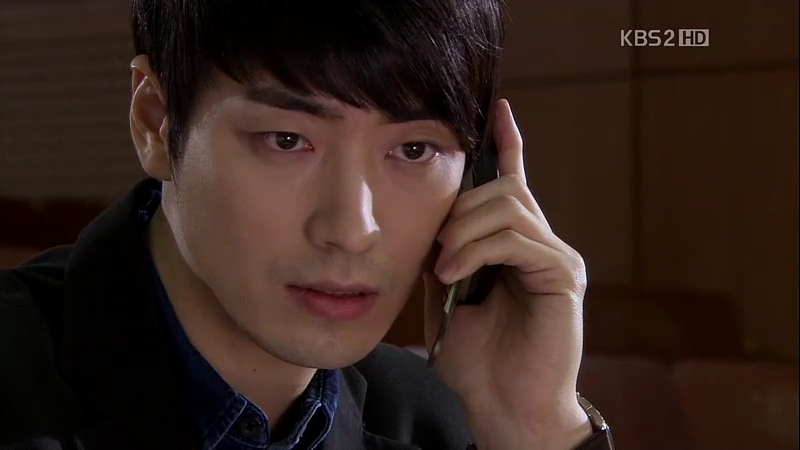 Meanwhile, Sun-Woo decides to call Jang-Il as he’s already late, but there’s no answer. Hence, he decides to go back by himself. He tries to get a taxi but it’s a little hard for him to do so. Come Ji-Won, who introduces herself to Sun-Woo as Hemingway and offers to help him to grab a taxi. Jang-Il arrives there to witness this but he doesn’t do anything. Ji-Won assures Sun-Woo that she’s not kidnapping him and she’s going to send him home. He tells her that his friend was supposed to fetch him but he thinks he’s something to do. That friend, Jang-Il, is following them closely in another taxi. They arrive at the apartment and despite Sun-Woo’s wish to go up alone, Ji-Won wants to help him to press the elevator button. She takes the opportunity to catch a good glimpse of him before going out of the elevator. Surprisingly, Jang-Il is waiting for her outside of the building. He tells her that he’s staying at the apartment and innocently asks what is she doing there. You’ve never helped anyone or got help from anyone in your life? She suggests Jang-Il to come over to the rehab center in order to understand how she feels, but he thinks being a prosecutor will make him able to help more people. She doesn’t want to argue more with him and accepts his words. She decides to leave for her tutoring session, but Jang-Il wants her to have dinner with him. From his opinion, she can surely spare some time for him if she’s able to do so for a complete stranger. She refuses to follow him and decides to leave. Soo-Mi actually sees the two of them in the cafe and she’s pissed off when Jang-Il lies to her, saying that he’s still at his campus. Sun-Woo doesn’t give it too much thought, but his friends are already pissed off with Jang-Il’s attitude. 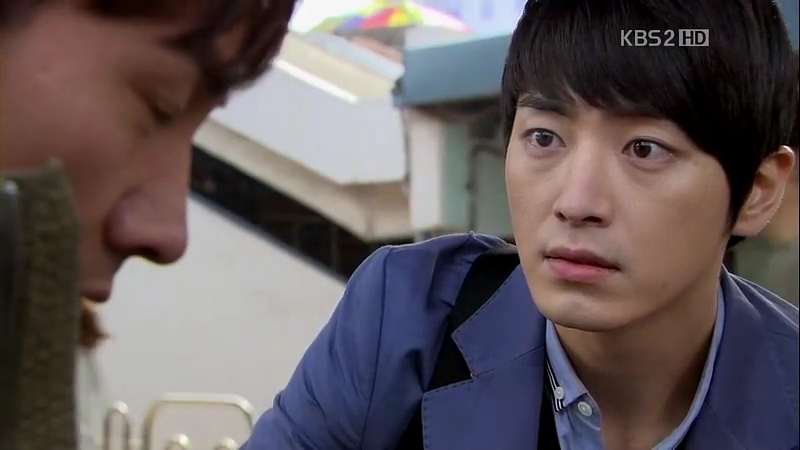 Geum-Jool tells him about the chair he sent to Jang-Il, which is now being used by the guards after he threw it away. Sun-Woo reminds them not to tell about the matter to Jang-Il. Although they are mad at Jang-Il, Geum-Jool and Soo-Mi still think it’s a good decision to let Sun-Woo stay beside Jang-Il as he’s remembering everything so fast. 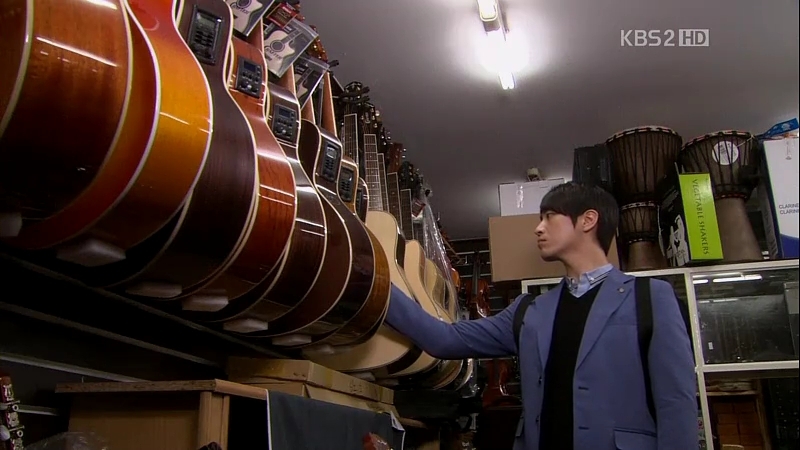 His anger towards Ji-Won must has subdued as he goes to find a guitar for her afterwards. He’s satisfied with himself and smiles happily after picking a suitable one for her. Sun-Woo is deeply engrossed with the audio novel until Geum-Jool has to take out the earphones from him. His complexion looks bad and it turns out that Sun-Woo has a fever, probably because he’s been sleeping in the living room. Soo-Mi worries about him as she’s going back to Busan on the next day, but Sun-Woo assures her that he’s going to be okay. 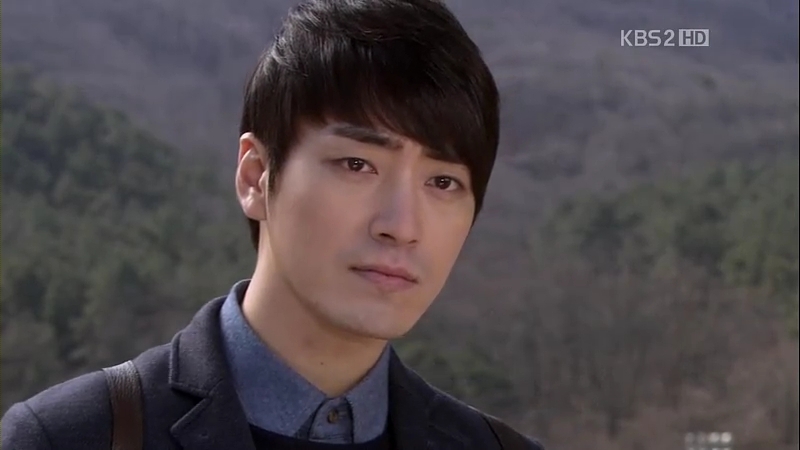 Jang-Il, I think Sun-Woo’s memories are returning back to him. Are you afraid of that? It’s already morning but Jang-Il is still in the same clothes, sitting in front of Ji-Won’s apartment. He’s drunk and keeps blabbering about liking her and stuff. He refuses to go home as there are people who came to make him suffer. He asks whether she can like him alone and gives the guitar for her to play Moon River only in front of him. As for Sun-Woo, he’s still down with fever and his friends tell him not to go to the center. He lies down in the room used by Soo-Mi before this as she’s going home on that day. Both of them go out, leaving Sun-Woo alone in the house. After a while, Yong-Bae comes to the apartment bearing some food for Jang-Il. 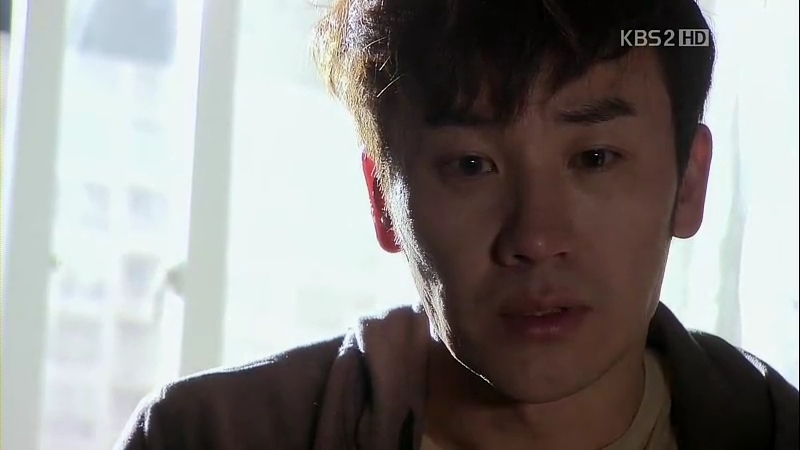 Unfortunate enough, he gets to see the drunk Jang-Il being brought home by Ji-Won. He’s surprised to see his son in that state and upset that Jang-Il is having fun while he’s living in hell under Chairman Jin in order to give him the good life. Jang-Il retorts, asking why did he chose to live like that and made his son’s life miserable. 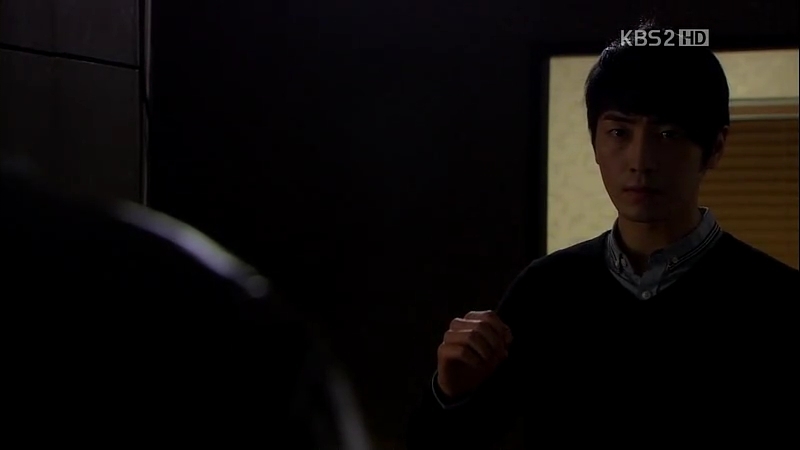 Yong-Bae warns him to kick Sun-Woo out and end his relationship with Ji-Won. 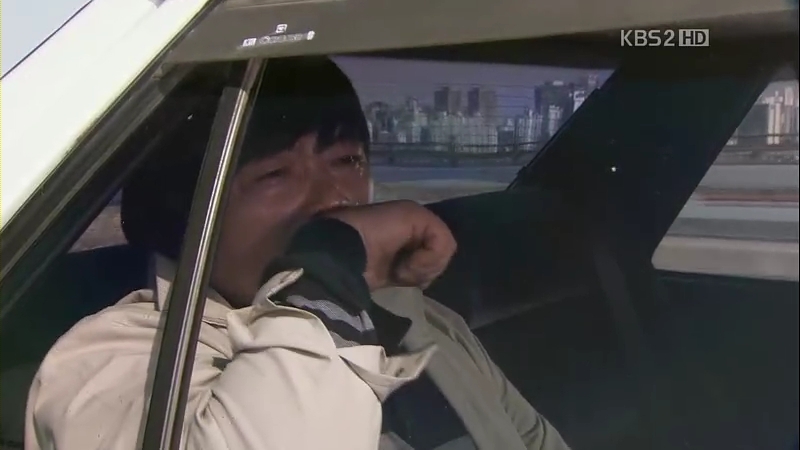 His son tells him to leave as he’s sick of him, the same way he feels for Sun-Woo. He leaves, sobbing all the way home. Unknown to them, Sun-Woo manages to hear everything they argued about. 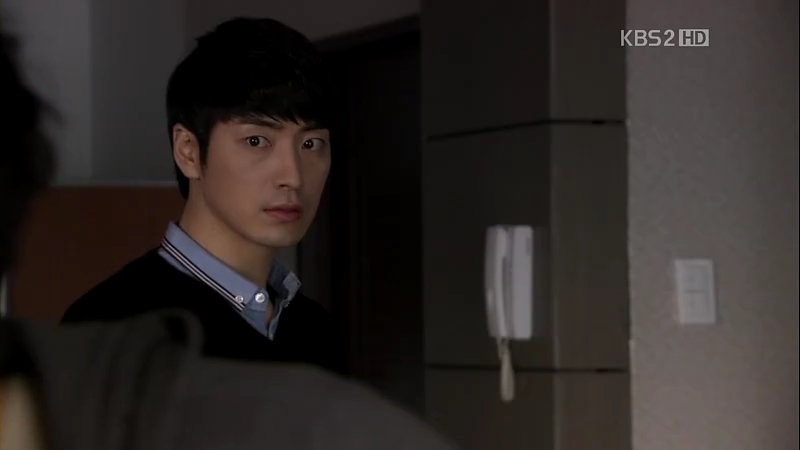 Jang-Il sits in the living room and he’s totally surprised when Sun-Woo walks out of the room with his CD player on. He sits beside Sun-Woo and takes off the earphones from him. Sun-Woo asks innocently when did he arrive home, and Jang-Il says that his father came. He still doubts whether Sun-Woo overheard him before this, but the CD is playing and that’s enough to assure that Sun-Woo has been listening to the audio novel. Jang-Il then invites him for a drink. 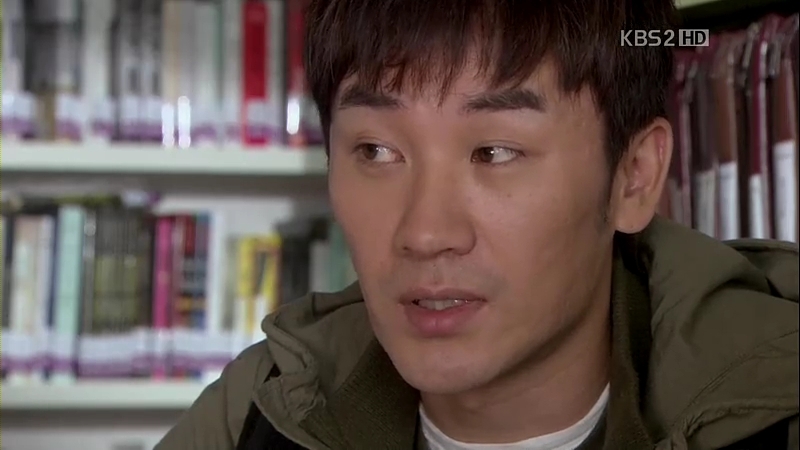 When asked about the first thing he would do if he’s to get his sight back, Sun-Woo’s answer is to see Jang-Il’s face. Jang-Il is surprised, but it’s just because Jang-Il is in front of him. Suddenly, he realizes that Sun-Woo remembers the quote perfectly and suspects him pretending to be blind. He feels Sun-Woo is hiding something from him and Sun-Woo’s joke pushes him off his limit. Jang-Il starts to hit Sun-Woo and the latter doesn’t do anything to protect himself; he tries to put everything he knows into a string of events. 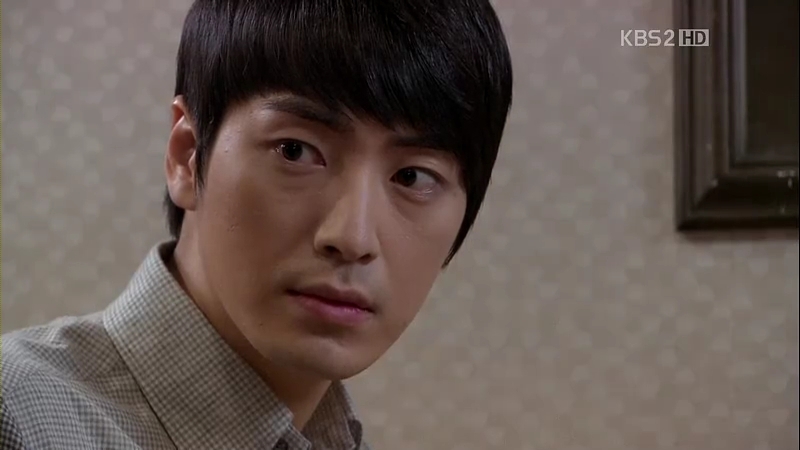 Sun-Woo takes a look at the unconscious Jang-Il and with a pitiful glance, he admits that he can never forgive him. Chairman Jin goes to pick a suit with Mrs Ma. Almost unexpectedly, she wonders who is Eun-Hye as he called the name in his sleep. Chairman Jin tries to drop the subject but his possessive wife isn’t that pleased with it. Geum-Jool gos back to find Jang-Il’s placein a complete mess. He asks what happened, but Jang-Il claims he can’t remember a thing about it. 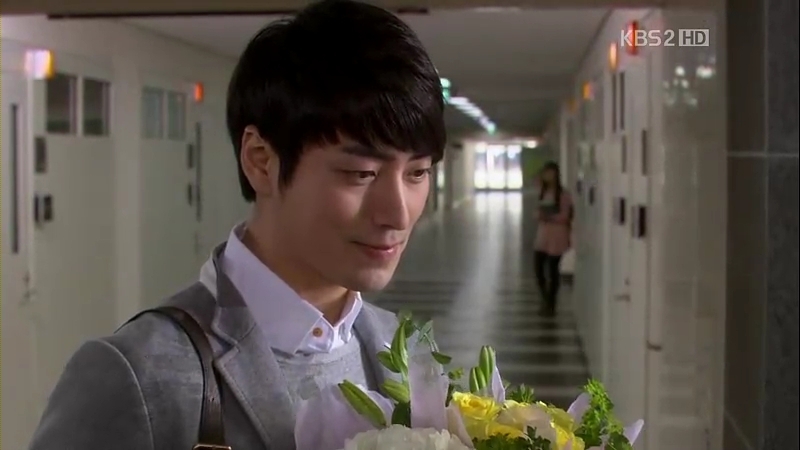 Although he’s quite busy, he gladly spends his time to meet Yun-Joo at her campus. She actually wants to ask for his help as she wants to get married with a man, but her mother is against it as he’s poor. Chairman Jin advises her that love isn’t something permanent and there’s no guarantee people won’t change. He tells Yun-Joo not to believe in the stories so that she won’t get hurt later. He goes out of the auditorium and receives a call from his secretary. Moon Tae-Joo is now in Busan and he decides to go after him. The information is correct as Tae-Joo is now at Sun-Woo’s house, but it’s now empty. He’s fixated in the memories of the old days, where Eun-Hye complained that Chairman Jin never loved her and put his attention in money more than her. She was afraid to tell him about her being pregnant and wished that she loved Tae-Joo instead. Tae-Joo looked at her in sadness and he’s been in love with her since they first met. Cut to some time after that, when Tae-Joo was arrested for a fund embezzlement case because of Chairman Jin. Back to the present, he decides to stay in Korea for some time to find Sun-Woo. He leaves at the same time Chairman Jin arrives at the neighborhood. Chairman Jin finds the house empty without the owner or the visitor. 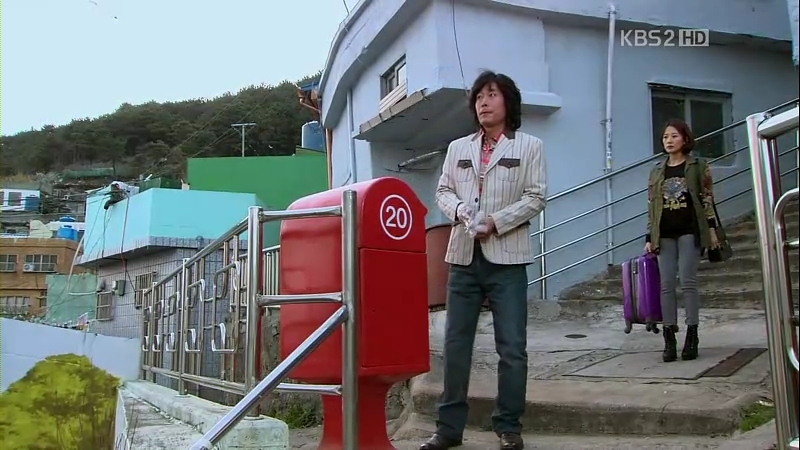 Gwang-Chun decides to send the letter through the mailbox but he’s seen by Soo-Mi. She warns him not to do anything stupid as it’s all in the past. At the campus, Ji-Won has just finished her class when somebody approaches her. It’s Yong-Bae, who comes to tell her not to be so close with Jang-Il. She thinks he’s misunderstood about her, but he thinks she’s trying to flirt with him. She is quite pissed off and leaves for her class, but not before having Yong-Bae reminding her not to see Jang-Il. She gladly follows his advice as she completely ignores Jang-Il after that. She joins a trip under the rehab center and cannot hide her happiness to see Sun-Woo joining the trip. He calls her Miss Heming, the shortened form of Hemingway and knows her presence just from her scent. They go to a park with others but Sun-Woo is sitting alone beside a tree. 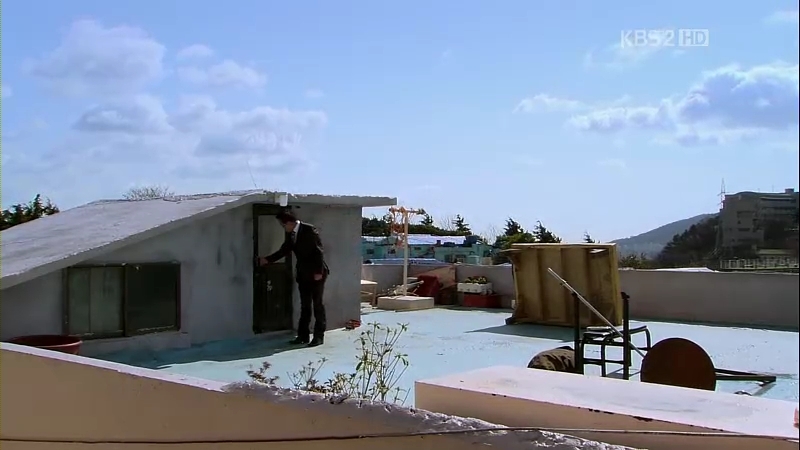 Ji-Won calls for him and walks towards him but she accidentally falls, hurting her ankle. He insists on carrying her on his back but she says it’s okay. He thinks she’s hesitating because of his blindness and sweeps Ji-Won off her feet. Sun-Woo wants her to choose between the piggyback or him carrying her around like that. She settles for the piggyback and tells him the direction, but she gets distracted and keeps looking at Sun-Woo, causing him to hit a tree. He tells her not to look at him and continues to walk while arguing about her weight. They become quite close day by day. Sun-Woo goes to ask about the novels he requested for but they aren’t available yet. 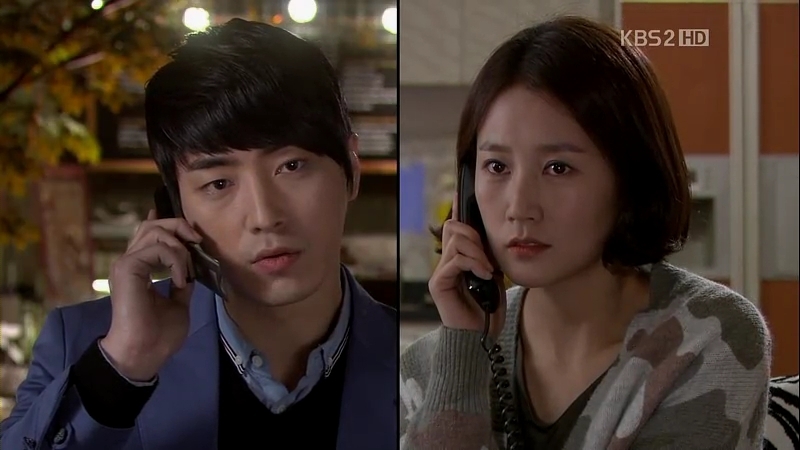 He leaves, but Ji-Won calls after him, saying that there’s another way to get the audio novel. She personally reads it to Sun-Woo and between the paragraphs, she steals glances towards the smiling Sun-Woo. 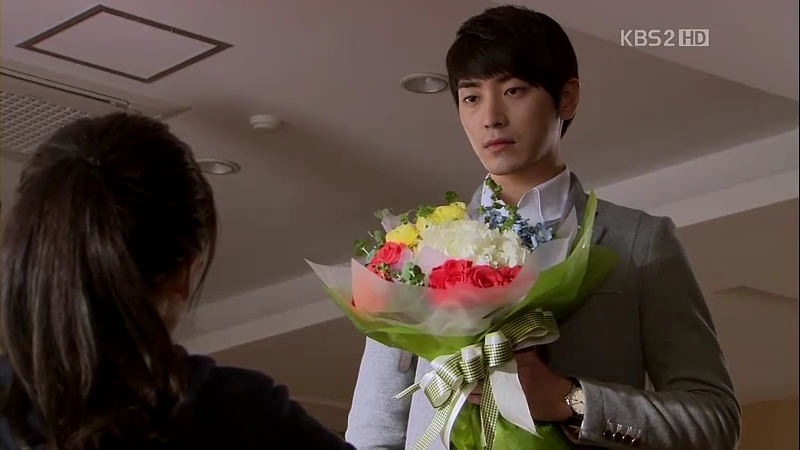 The bad day is on Jang-Il’s side as he’s prepared the flowers for Ji-Won but she’s nowhere to be found in her class. He decides to go to the rehab center and finds her playing Moon River with the guitar. He smiles, but his happiness isn’t long. He sees Sun-Woo there, enjoying his time with Ji-Won. Jang-Il enters the room silently as Ji-Won keeps playing the guitar. And Sun-Woo doesn’t even know that his dear friend is also in front of him. Phew! That was long. And sorry for the late recap. I’m down with cold. Sun-Woo’s effect? Okay, what I’ve wrote didn’t get saved. Ouch! 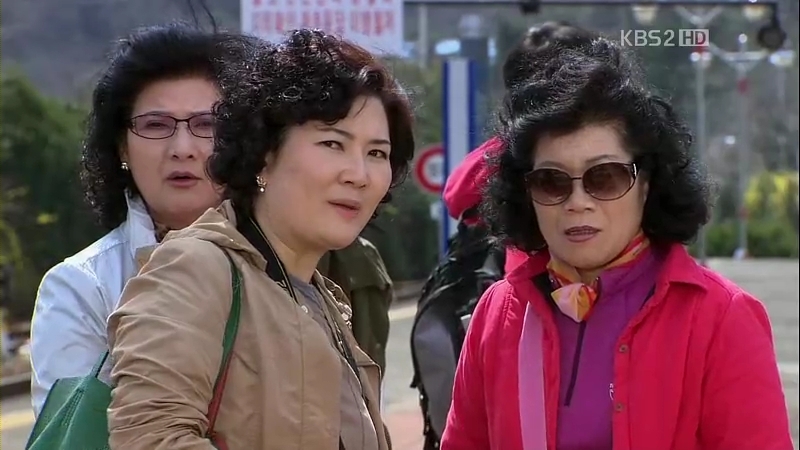 I’m glad to have Ji-Won everywhere in this episode. She’s been away for too long already and now, it’s the time for her to shine. Ji-Won’s gestures towards SW are heartwarming. I know in some cases, it’s not that polite to regard a blind person to be normal, but in her case, it’s different. He’s a normal man in her memories and she keeps forgetting the fact that the man in front of her isn’t the same boy she used to know. Nevertheless, she’s drawn to him, to know the real identity of the man and the mysterious boy who helped her on that fateful night. And I love the fact that she finally accepts Sun-Woo’s condition and she doesn’t have to hide her feelings in front of him. How cute she is when she can stare at him without being caught? Sun-Woo is indeed lucky to meet her again, although he doesn’t know her real identity yet. Yong-Bae’s misunderstanding isn’t a pleasant fact, but it serves as a factor for her to drift further from Jang-Il. Yeay! Plus, with the sudden spring of him trying to control her life, an independent woman like her won’t be suitable for him. Yes, run from Jang-Il and go to Sun-Woo. Although that’s not an easy thing to do after the last scene. We shall see what will happen after this. After this episode ends, I can conclude so many things about Jang-Il: he’s someone with too many faces, a brat who doesn’t know how to be thankful, and he loves to overpower people, meaning that he hates losing. It amuses me how his face keeps changing in every split second: from happy to grim, genuine smile to wicked grin. That shows how sick he is at heart, being too driven over his goal to be successful. Now, is the fault lies in his father? I think it’s partly true as Yong-Bae thinks only power can make their lives easier. That explains why Jang-Il is brought up to be focused on his own self and ends up being so selfish, to the extent of hating his father for giving him problems. 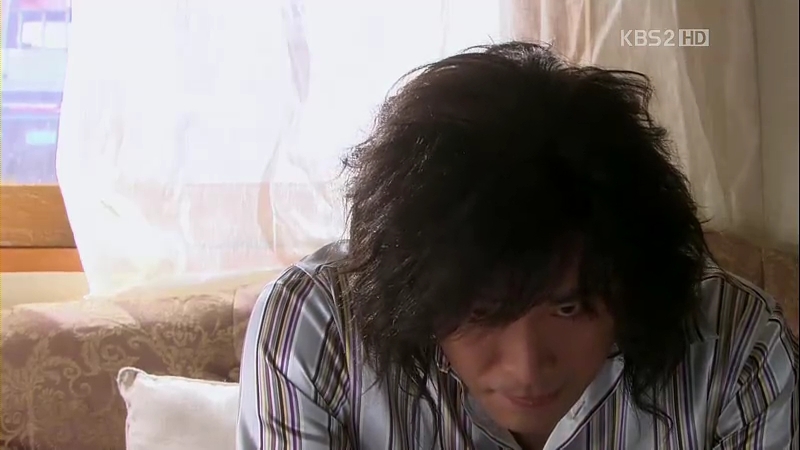 If Jang-Il is to be a serial killer, I would totally believe it. Well..he can be regarded as one since he has tried to kill Sun-Woo twice! No one can overlook the platform scene as a mere coincidence and he’s definitely trying to get rid of Sun-Woo. Remorse? Nope, he doesn’t have even an ounce of it. He feels sick of Sun-Woo and the part of him which cares for his only friend might as well gone forever, washed away over time. Sometimes, I feel that Jang-Il and Soo-Mi has too many similarities. Both of them are creepy in their own sense: him being the many-faced man and her being the know-it-all woman. And now, both of them are children who don’t like their fathers. Pure coincidence or what? Plus, they are haughty in their own sense and I keep wondering if they are to become a couple, they would make an odd couple, but probably the best for each other. I’m just hoping that Sun-Woo stays safe and healthy. When he’ll be safe from any harm, possibly from Jang-Il and Tae-Joo to find him? Speaking of Moon Tae-Joo, I am now confused about him and Chairman Jin. Who’s Sun-Woo’s real father? He’s the cold man, but Chairman Jin does have the good side of him, especially towards his family. Although Mrs Ma is clearly marrying him because of his money, I find his relationship with his step-daughter Yun-Joo endearing. He must be trying to reduce his guilt to his fiancee and the son that might have been his, but his pride doesn’t allow him to find the truth. Sigh…if only he knew about it..
Next Post Dearie Do Chi San! These characters are great “face to face”! 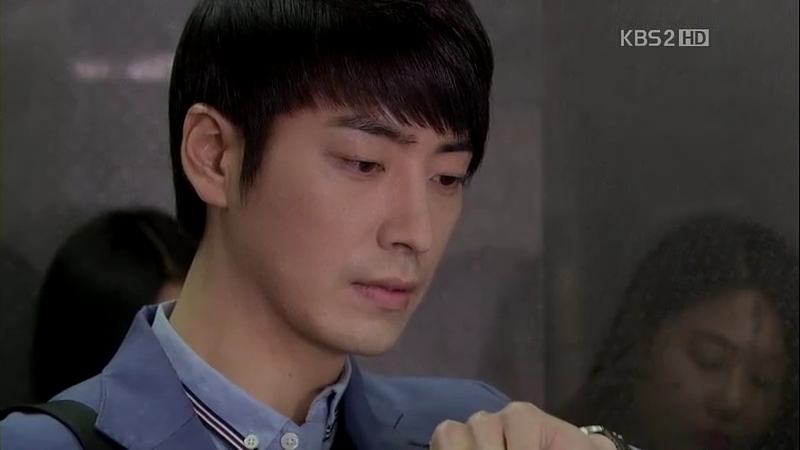 I love Seon Woo’s low and quiet voice too! It’s a good contrast to the content. And the piggyback… I really thought after 50 dramas, that the Korean can’t show me a new aspect of piggyback. They definitely can! But the scene where Jin Won aske him ” You’ve never helped anyone or got help from anyone in your life?” Makes me hope again he can be redeemed. maybe that sentences hit him in the heart. I really thought he has geniune feeling to Sun Woo when they were still friends… And That moment is Sun Woo’s chance to change Jang Il’s personality and point of view… It’s his father action that makes Jang Il to force him take action that he doesn’t want to. Too Bad at that time, His desire to succeed is more powerful than his feeling towards Sun WOo. for the outside, Sunwoo is the innocent one in the situation, but unknown to them he knows everything~ Though he can’t do anything at the moment, I still think he holds the black card and winning over Jang il! @ muchadoboutlove I’m glad there is someone who have the same sentiment with me regarding Jangil’s character. He is quite fascinating character. He has no one who teach him the right thing…. His father rise him the wrong way.